Don’t get me wrong, I love flying just as much as the next person and I’d much prefer it for travel to/from Europe to/from North America — who’d want to take a passenger ferry across the Atlantic given how much longer it would be? When I look at what the current high-speed rail map in the US looks like and then I look at the current high-speed rail map of Europe… it’s flabbergasting! 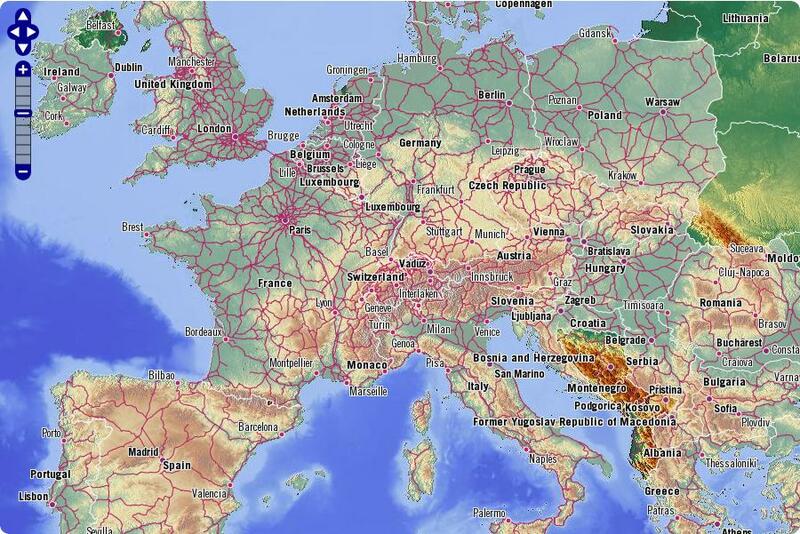 I’ve hyperlinked the two maps to bigger versions of themselves, so you can really get an idea for how much more advanced Europe is than the US when it comes to their rail system. It’s almost a little embarrassing just how much farther ahead Europe is in this regard. 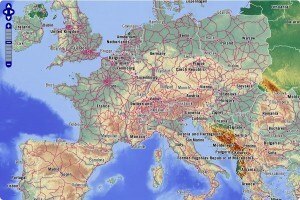 Some people try to argue that Europe is much smaller, so a rail system makes more sense there. 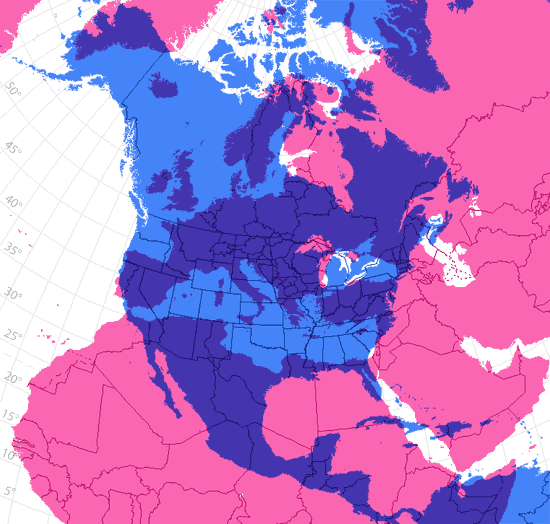 Well, as we can see from the image to the right (click for a bigger version), Europe is not actually that much smaller than the USA. In fact, they’re pretty comparable in size. One of the reasons that Europe can sometimes be perceived as smaller than the USA is a function of who’s drawing the map. Regardless, from my perspective, there really aren’t any good reasons as to why the US hasn’t adopted a high-speed rail system. Even Bill Nye (the Science Guy) adds his two cents to the debate. In all my time watching Bill Nye as a kid (and in the classroom), I don’t think I’ve ever heard him speak so blatantly negative about anything! He must really feel passionate about this particular circumstance. Not everything surrounding the high-speed rail system in the US has to be about negativity. In taking a closer look at what the network of rail systems will look like when the projected plan is completed (in 2030), is kind of exciting. 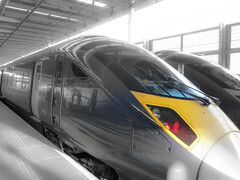 Passengers will be able to go from Vancouver, BC, to Miami, FL — all by high-speed rail! 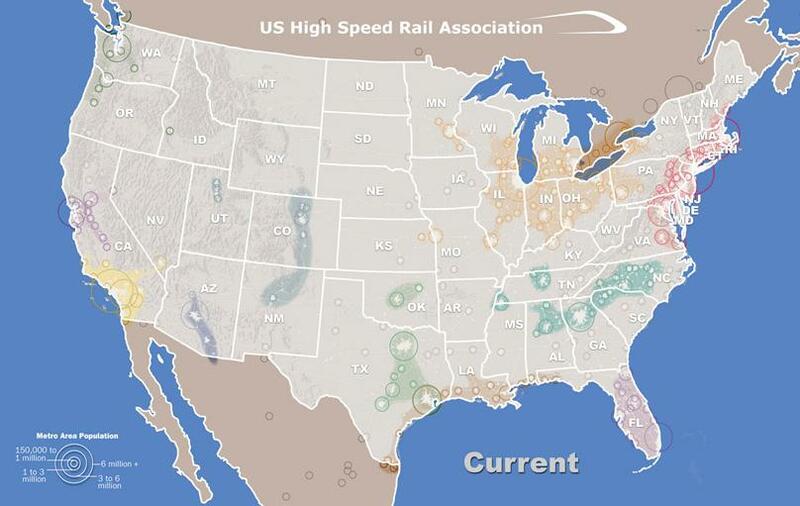 They could go from San Diego, CA, to Montreal, QC, again — all by high-speed rail! For me, someone who cherishes the value of public transportation, this is really exciting. As the plans and the work for this public transportation system continue, I wonder what Europe (and Asia) will come up with next in the way of public transportation. Many areas on these continents already have high-speed rail systems, so, it is logical to think that they will be busy thinking up the next great transportation revolution. Regardless, I’m very excited to see the progress being made in the world with regard to public transportation.